Home » 7 Best Cooling Pillows: What is the best Cool Pillow? Our favorite pick is the Nest Bedding ActiveX pillow because it does a good job at keeping your head cool at night while at the same time being super flexible and adjustable for all sleeping positions. But if you are looking for more options or want to learn more about what you need to know before buying a cool pillow check out our complete guide below our list of top picks. Are you looking for the best rated cooling pillow to fight night sweats and hot flashes? Are you unsure which pillow keeps you cool and also works for your preferred sleeping position? We have spent hours of research on finding the top-rated pillows that keep you cool. A good quality cooling pillow needs to meet certain requirements and while there are many products on the market that claim to have a cooling effect, only a few are actually worth your money. Let’s look at what makes a quality product in a bit more detail. What makes a top rated cooling pillow? There are 3 main factors that will make you sleep cool and comfortable at night. They all come down to which materials were used in making the pillow. Each material has it’s benefits and might suit some people better. The right cover and core material can greatly improve the cooling effect even when nights get a bit hotter. Bamboo, Tencel or Buckwheat are just some great natural options with great heat management properties. But it is not only the cooling effect that makes these pillows more interesting than their synthetic siblings – some products are also hypoallergenic and dust mite resistant. 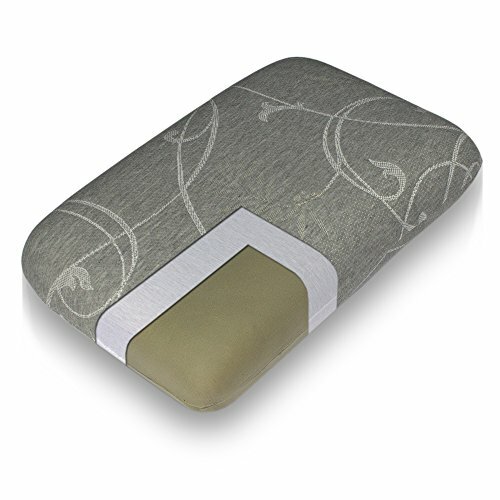 Therefore covers made out of Bamboo or Tencel are not only eco-friendly options but are especially well suited for those with synthetic allergies. Natural core materials like buckwheat provide similar benefits while offering firm support for your neck and spine. In most products you will find a combination of natural materials for the cover and more traditional materials like (shredded) memory foam that makes up the core for firm support. Tencel (or Lyocell) is one of the most environmentally friendly materials and is grown sustainably. It is also machine washable. To battle heat buildup around your head manufacturers try to add heat dispensing layers to their pillows. Most products in this category are actually cooling gel pillows and contain, as the name suggests, a layer of gel. This gel layer will absorb body heat from your head and disperse it across the pillow, thus cooling down your head and body overall (we lose approx. 7-10% of our body heat through our head) . There are many benefits of cooling gel pillows. 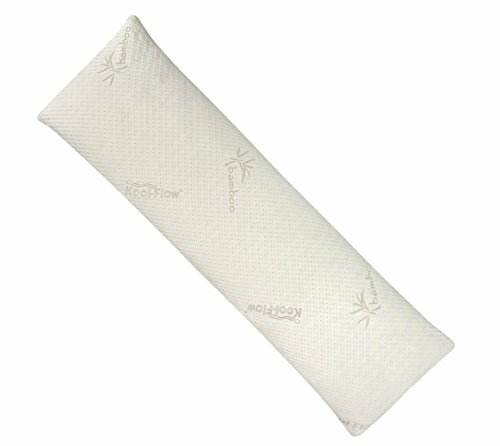 Besides their cooling effect, they also sleep quiet (unlike water pillows) and can provide stable support for your neck. On the other hand, they are usually not machine washable because it would destroy the gel layer. They also tend to be quite heavy and inflexible since the layer adds some additional weight. Water pillows are more flexible than pillows with cooling gel but also more noisy. Another option is water pillows. These pillows have a layer of water that acts very similar to gel layers. The main difference is that you can usually adjust the amount of water through a valve. To meet your preference you simply need to add or remove water from the pillow making these products highly adaptable to your needs. Unfortunately, water pillows can be quite noisy when moving around since you can hear the water moving within the pillow. Depending on how much water you fill into the pillow they also tend to be quite heavy. What sounds like a technology from some science fiction movie was actually invented by NASA. In a nutshell, PCMs are materials that can change their state (from firm to soft or vice versa) and which will absorb energy (in this case heat) in the process. Think of it as an automated temperature control system. When it gets hot in summer and your body starts to get warmer these materials will absorb the heat and keep you cool. Once temperatures cool down the same material will release the heat again – keeping you warm in the process. Unfortunately, pillows that utilize PCMs are usually not machine washable. 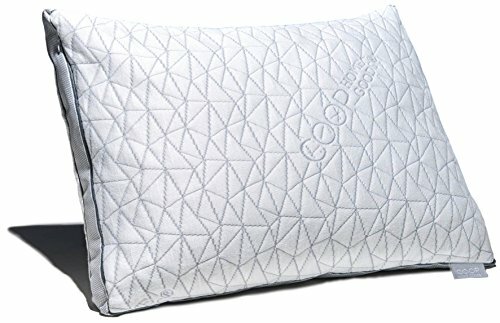 What is the optimal pillow for side, back and stomach sleepers? One of the most important aspects of restful sleep is how your neck and spine align. While the right mattress for your sleeping position has a great impact on spinal support, so does your pillow. It is of utmost importance to pick the best pillow for your sleeping position. Side Sleepers: Look for a firm pillow on the thicker side that can support and align your spine. Back Sleeper: Go for a medium-firm, medium-thick pillow. Stomach Sleeper: Opt for a thin and soft pillow. Mixed Sleeper: If you move around a lot and prefer to sleep in different positions opt for a soft and medium-thick pillow that is flexible and can adjust to your position. 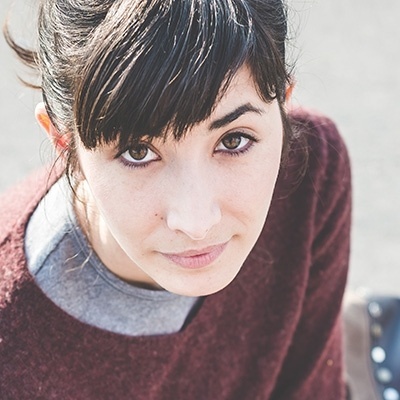 What if I have Allergies, suffer from Back Pain or want Organic / Eco-Friendly Options? With the wide variety of products available, even those with special requirements can find quality products that fit their needs. Synthetic Allergies: Opt for organic options like Tencel, Bamboo or Buckwheat. Make sure the manufacturer explicitly states that the product is hypoallergenic. Dust Mite Allergy: Make sure to buy a product with a cover that is dust mite resistant. Alternatively, you can buy an extra cover that wraps around your pillow. Back Pain: If you suffer from back pain it is especially important to get the best pillow for your sleeping position. you can also try contouring pillows which help to keep your neck and spine aligned. Organic & Eco-Friendly Options: If you prefer natural products opt for pillows with organic cover and core materials. The manufacturing process of Tencel is, unlike Bamboo, 100% transparent and all materials are sustainably sourced. Buckwheat, on the other hand, is a good organic core material. A quality product should offer at least a 3-year warranty. 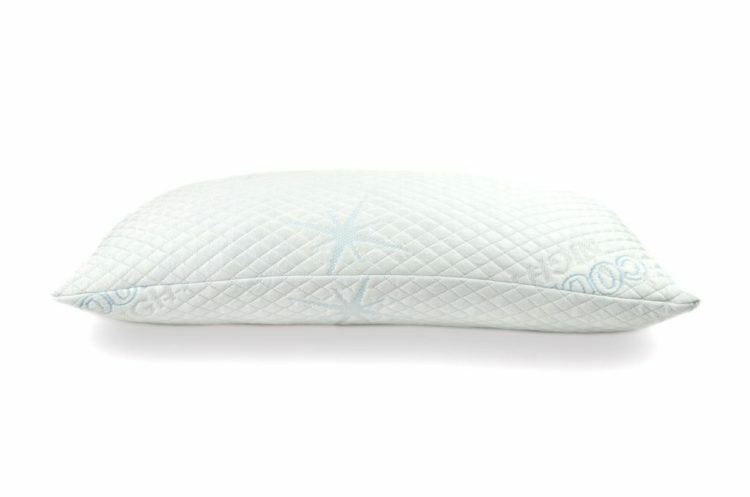 Should I buy a cooling pillow? If you sleep hot buying a pillow that helps you sleep cool at night, especially during hot summer nights, is definitively a good option. If you tend to sweat a lot at night we also recommend looking into a new mattress with cooling capabilities since low-quality materials can lead to heat buildup around your body. Especially if you live in a hot, humid climate or if your partner prefers a hotter room temperature than you these pillows can help to improve your sleep. A cooler head can also help people suffering from Insomnia to finally get some rest. What are the Benefits of a Chillow? Sleep cool: The obvious benefit is that you just won’t sweat as much while you sleep. This means that you might even sleep longer and feel more rested. Good Spinal Support: A good pillow will support your spine and prevent you from waking up with back and neck pain. Feel more energetic: A positive side effect from sleeping cooler is that you might recharge more and feel more energized after waking up. You will also lose less water which could make you less thirsty in the morning. How do I maintain my pillow? Removing the cover carefully before washing it to prevent damaging the cooling layers. We spent hundreds of hours researching and reading reviews so you don’t have to. From all this research we have compiled our top 7 picks that offer great quality, support, and cooling capabilities. Nest Bedding did a create job in designing the ActiveX pillow. It is a great combination of comfort, adaptability and temperature control. The cover uses phase-change materials to cool your head before you get too hot while the proven memory foam fill will keep your neck stable and your head cool. What we liked most about this pillow is that it is completely adjustable. You can easily remove some of the memory foam fill by opening the zipper on the side. This makes this pillow very flexible and perfect for all sleeping positions and it should never be too big or too small. The combination of a polyester / PCM cover and memory foam makes this pillow soft but supportive which should suit most people. While this pillow is definitively on the more expensive side we think it is worth the money and many happy customers seem to support our verdict. It is made in the USA and will arrive vacuum sealed in a box. This pillow may be best suited for back and stomach sleepers since it is on the softer side and not as firm as the pictures suggest. To keep your head cool at night is uses a gel-fiber filling that tries to mimic goose down while being hypoallergenic, dust mite, mold and mildew resistant. The cover is 100% cotton, 240 thread-count casing and in combination with the gel-fiber filling, it provides a super plush feel. For cleaning, you can put your pillow into the washing machine but we would recommend to air-dry it afterward instead of putting it into the dryer. They offer a 30-day money back guarantee so if you are disappointed with your pillow you can return it for a full refund. This gel-infused memory foam pillow can be adjusted to your preferred size by simply adding (or removing) filling. If you need additional filling material it can be purchased on Coop Home Goods’ website but up to 3 1/2lbs of memory foam are actually free under their 5-year warranty. This makes this pillow highly customisable and perfect for all sleeping positions. On top of that, it comes in 3 sizes – standard, queen, and king. The cross-cut shredded memory foam filling is CertiPUR-US certified and doesn’t contain any harmful chemicals and are hypoallergenic and dust mite resistant. The filling, as well as the cover, are manufactured in the US. Many customers report that the 40% bamboo-derived viscose rayon and 60% polyester cover seems to work well with the gel-infused foam filling to keep you cool at night. Coop Home Goods does not only offer a 100-day money back guarantee – they also seem to focus a lot on excellent customer service as many reports can attest. At this price you won’t find many products that can compete that also offer a long money back guarantee and are fully adjustable. This is a great option! The Classic Brands Reversible pillow is a bit different from the others as it offers two different sides with different firmness and feel. One side offers a cooling gel layer to disperse heat during hot nights while the other side offers comforting memory foam layer that helps with spinal alignment. It is a bit more on the medium-firm side so it might be better suited for side sleepers who need a firmer pillow for more spinal support. You might have to air it out a bit for the first 1-3 days because various customers report a strong smell in the beginning that disappears after a while. The hypoallergenic mesh knit cover is removable and machine washable. This pillow is a good option for those who prefer a firmer pillow. 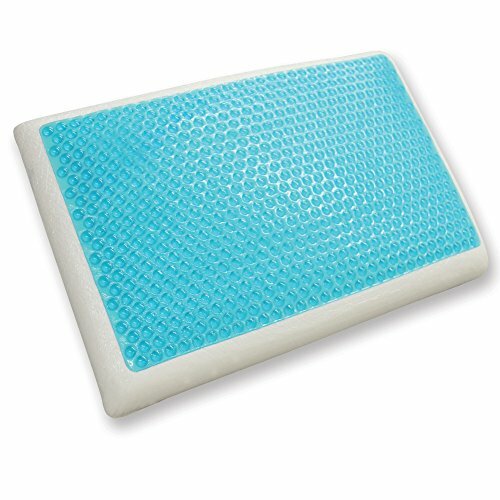 This queen size pillow features a solid memory foam core that can help to stabilize your neck and reduce neck and back pain by contouring your head. It is a bit on the firmer and thicker side and should work especially well for side sleepers but we have seen some reports from stomach and back sleepers who liked it as well. The cover, made out of bamboo viscose and charcoal, is hypoallergenic, antibacterial and dust mite resistant. Because of the bamboo viscose material, it sleeps cooler than normal cotton (up to 4 degrees) and Laniloha claims that the charcoal-infused material even has air purifying capabilities. 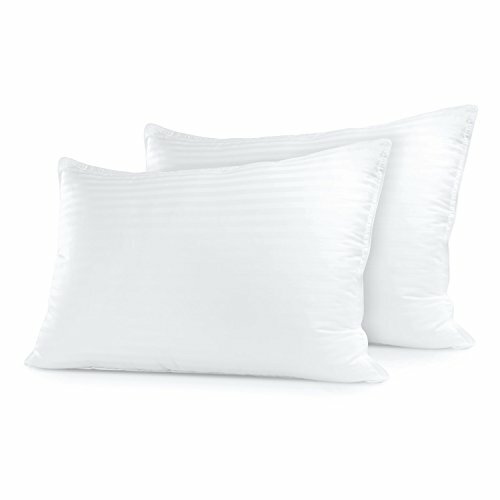 If you are looking for a firm pillow, this might be a great pick! If you are a stomach sleeper, this pillow is for you! The slim design is great for everyone who sleeps on their stomach or back but it won’t make you happy if you prefer to sleep on your side. 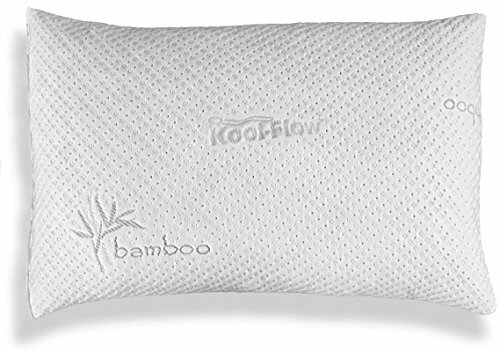 The bamboo cover keeps you cool at night by providing optimal airflow. It also is hypoallergenic and dust mite resistant and therefore a great option for everyone battling allergies. It’s fully machine washable so you can just throw it in the washing machine and air-dry it if necessary. Its core is made of CertiPUR-US certified shredded memory foam which makes it very flexible and formable and gives it a more “fluffy” feel. Xtreme Comforts claims that it’s construction can even help reduce insomnia and snoring but both is highly dependant on your preferred sleeping position, your body type, and other factors so it’s best to just give it a try. You can choose between three different sizes – standard, queen, and king and they come vacuum sealed with a 30-day money back guarantee. Many stomach sleepers really seem to love this pillow judging by the countless positive reviews all across the web. So if you prefer to sleep on your stomach – this is probably one of the best pillows for you. This body pillow with its shredded memory foam core is made in the USA using eco-friendly biogreen & CertiPUR-US certified foam. The cover is made of 43% bamboo viscose, 56.4 percent polyester and .6 percent Lycra and should keep your head (and body) cool throughout the night. Due to its shredded memory foam core, it is highly flexible and can be shaped to support your neck in your preferred sleeping position. The pillow is 54 inches in length and while machine washable it is recommended to put it into a dryer instead to air it out and soften the memory foam core for extra snug comfort. It comes vacuum sealed and with eco-friendly shipping and can be returned within 90 days if you aren’t happy with it (but so many happy customers are…). So if you are looking for a body pillow that sleeps cool then the Snuggle-Pedic pillow is a great option! As you can see all 7 products in our list are great options which all have different strength. We recommend that you pick the pillow that suits your sleeping position best so you can ensure that your neck is stable and you won’t suffer from neck and back pain in the morning. Our favorite is the Nest Bedding ActiveX because it is very flexible and its phase-change material infused cover does a good job at absorbing heat from your body. We hope we could help you with our guide and wish you a good night. Sleep well!